Thank you for sharing your experience. We apologize for any miscommunication and would like to point out that your reservation was cancelled as requested and your refund submitted for processing. Please note that it is the participating resort provider who issues the confirmation of your reservation. 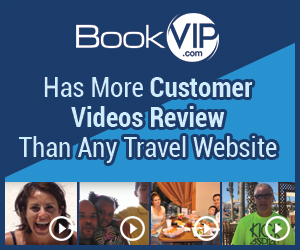 However, BookVIP, as the booking company, immediately sends all customers a receipt confirming purchase of the vacation package. I booked a trip with this company. They say you have 7 days to cancel. I called on day 7 to cancel because I had not received a confirmation from them about my trip, therefore I had no confidence in them to deliver. The rep said they would cancel the trip but would not refund my money. They do not honor their agreements. I would not trust this company at all. They try and entice you with the idea of low rates and just try and scam your money. Review #785780 is a subjective opinion of User785780.